Brandon's Finest in Luxury Transportation! 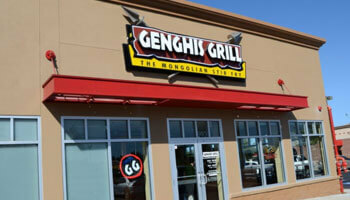 Just thinking about all the delicious Asian fusion fare that they offer at Genghis Grill gets our mouths watering! All of us at Tampa Party Buses are obsessed with this great Brandon area restaurant, partly because so many of our customers adore it and partly because they have served those customers so well! We never come in without enjoying their edamame. Mmm! 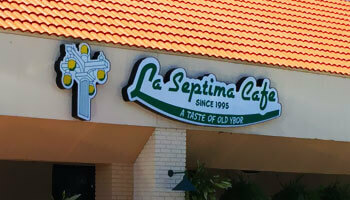 If Cuban, Spanish, and Italian food sounds ideal during your Tampa Party Buses trip in Brandon, head over to La Septima Cafe. This is one of the coziest and friendliest spaces that you could ever occupy in the Brandon area, with happy waiters and waitresses who really know how to handle a large Tampa Party Buses group. Amazing food, great drinks, superb service. 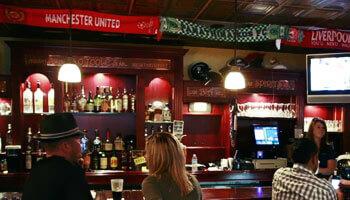 O'Toole's Irish Pub is a real haven for those who appreciate an authentic feeling gastropub and Irish bar! 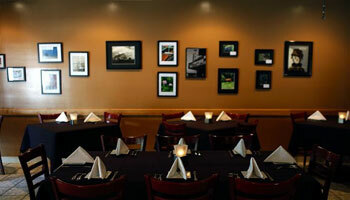 It's cozy and inviting, with comfort food just spilling off the pages of their generously sized menu. If you love Irish fare and traditional pub offerings, you'll be quite thrilled with what you find here. Super service and awesome ambiance. Very highly recommended! The Stein & Vine is one that is easy to overlook, tucked away in a strip mall with a very unassuming and unimpressive exterior. But look right past that and walk right in, because this will quickly become your favorite hangout in the Brandon part of Tampa Party Buses' service area. Great wood accents, awesome dim and cozy feel, just a great place to party with your group. If a steakhouse and sports bar sounds ideal for your upcoming trip with Tampa Party Buses in Brandon, then take a look at Lee Roy Selmon's. As far as we're concerned, it's all about the steaks here, but we also love all of the poultry and seafood offerings, so what can we say? It's all good! Watching the game in the bar area is always a blast. You'll love it. 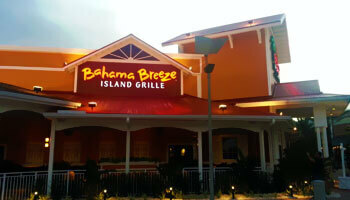 At Bahama Breeze, you will forget all about the fact that you're at a chain restaurant and you'll instead feel like you have escaped to your own private island. The restaurant side is beautiful and pleasant, but the bar side has a stronger island vibe and we just love to spend our time there. Get a specialty cocktail made with sugarcane or dive into a plate of tostones. Yum! Mexican and Latin American food is well represented at Taqueria Dona Maria, right here in the Brandon area. The margaritas are something that our Tampa Party Buses customers always rave about as they board the bus after their long dinners here. 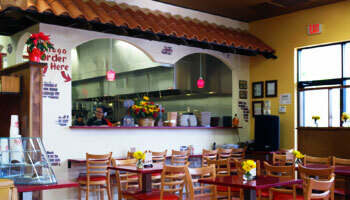 The rice and beans are just fabulous and we cannot get enough of their burritos and enchiladas! Too delish. Della's After Dark manages to blend the worlds of Italian, Mediterranean, and French foods into one cohesive unit. Just a huge menu of incredible flavors that will please your taste buds to no end. The freshly made salads and sandwiches are our first choice for lunch here. Everything is elegantly presented and the service is just out of this world here. 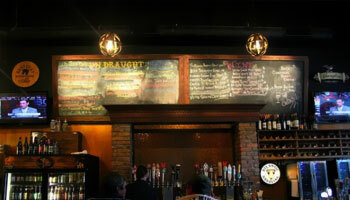 The Rack is an awesome local bar where you can not only enjoy an incredible array of beers and cocktails, but you can also dig into exciting daily specials like the burgers and the sushi. They have a little of everything in terms of bar fare, and they really do a great job with everything. 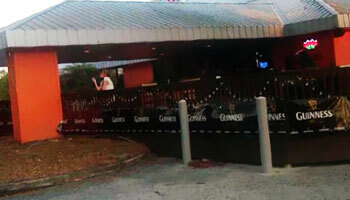 The patio area is just huge and particularly ideal for spring and summertime Tampa Party Buses groups! 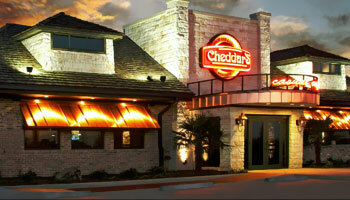 Cheddar's Casual Cafe is our final recommendation for our Tampa Party Buses customers in the Brandon area, and it's also one of the best. For lunch, we cannot think of a more supreme place to stop in to. 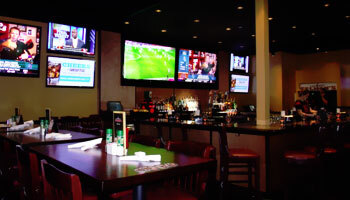 The restaurant area is cozy and inviting and they also offer a bar area where you can sip your drink and watch the game. Great American comfort food is yours here!